The silver Rugged Protective Cover for Galaxy S10+ from Samsung is designed to be a case that offers shock and drop resistance with a MIL-STD-810G military tested build. This case also features a built-in kickstand that allows you to position your phone in an upright landscape orientation for hands-free viewing. The kickstand offers two different viewing angles and can blend seamlessly into the back of the case when not in use. This case also features precision cutouts to provide easy access to your cameras, buttons, and ports. 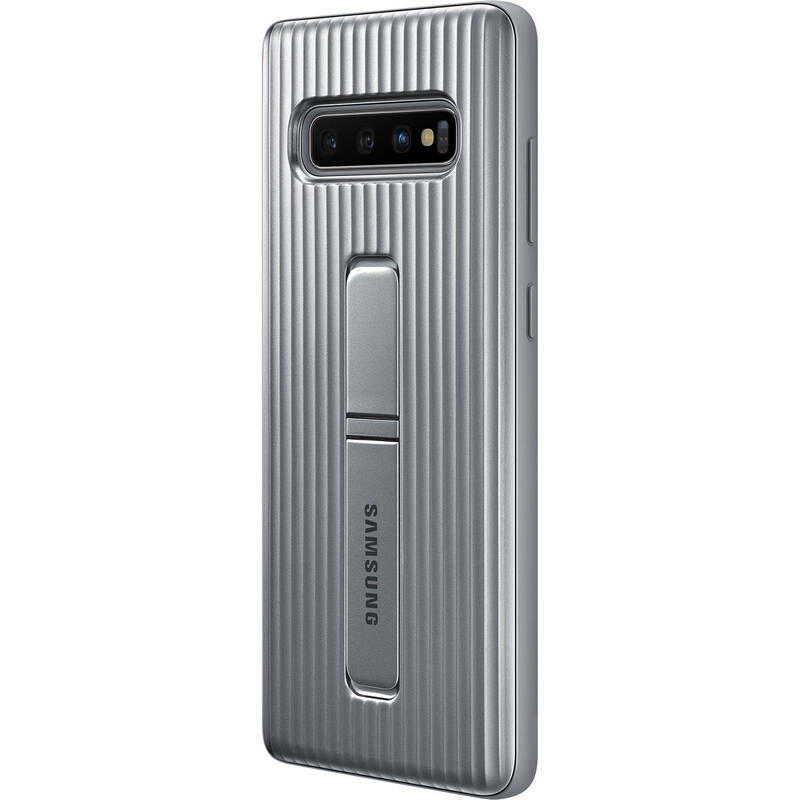 Box Dimensions (LxWxH) 7.9 x 4.7 x 1.0"
Rugged Protective Cover for Galaxy S10+ (Silver) is rated 2.7 out of 5 by 6.